i. 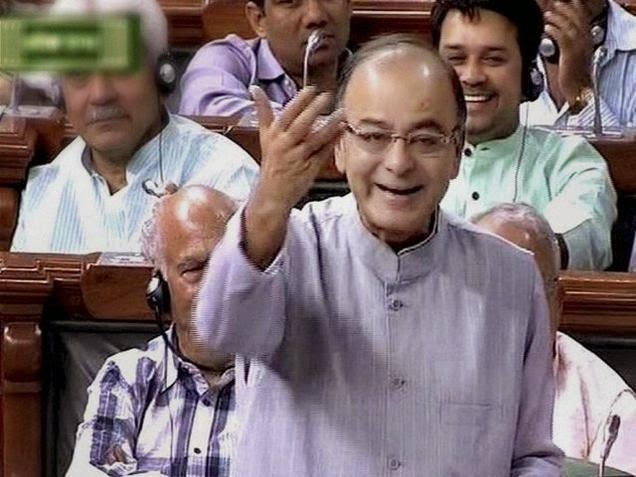 The long-pending GST bill was approved by Lok Sabha after a walkout by Congress even as government vowed to compensate states for any revenue loss and assured that the new uniform indirect tax rate will be much less than 27 per cent recommended by an expert panel. ii. The Constitution Amendment Bill to implement the Goods and Services Tax (GST), originally mooted by the UPA, was passed by 352 votes against 37 after the government rejected the opposition demand of referring it to Standing Committee. iii. By subsuming most indirect taxes levied by the central and state governments like excise, service tax, VAT and sales tax, the pan-India goods and services tax (GST) regime has proposed to facilitate a common market in the country. iv. Taxes on alcohol make up a major chunks of state revenues -- for instance, in Kerala it contributes 22 percent of revenue, while in Tamil Nadu it yields about Rs.21,000 crore per year. i. Indian companies including HMT and Essel Group have signed 11 MoUs with German firms that will help boost foreign fund inflows as well as domestic manufacturing. ii. The pacts were signed last month at the Hannover trade fair. 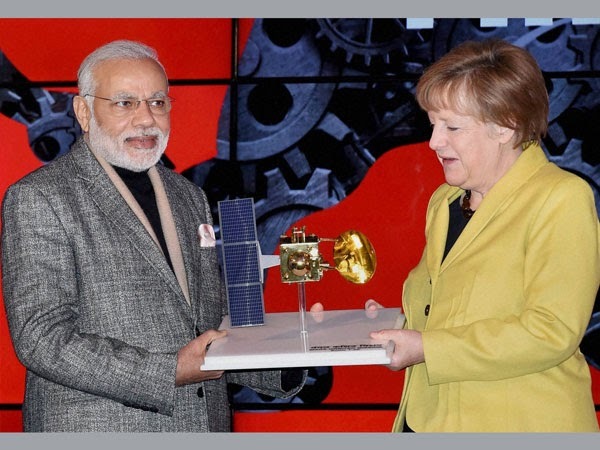 Prime Minister Narendra Modi and German Chancellor Angela Merkel had inaugurated the fair in Germany last month. iii. These Memorandum of Understandings (MoUs) are expected to increase FDI flows to India, bring in new technology, help growth of manufacturing sector and create employment opportunities in the country thereby boosting its economy. iv. Instrumentation Ltd signed a pact with German-based KE Kauer Engineering for production of control valves. Vikram Solar inked MoU with Fraunhofer Institute for solar energy systems. v. Hindustan Machine Tools (HMT) inked separate pacts with FT Machine Tools and Enit GmbH for collaboration in engineering sector. i. The Foreign Investment Implementation Agency, a brainchild of the former Vajpayee government, is set to get a new lease of life under Prime Minister Narendra Modi. ii. The agency's role will be reinvented and expanded to handhold foreign investors and keep tab on sectors that have end-use operational conditions. iii. The Ministry of Finance and the Department of Industrial Policy and Promotion have had discussions on FIIA playing a more effective role as the government looks to boost capital flows into the country. iv. The Reserve Bank of India, the administrative ministries in charge of sectors, the department of economic affairs, which houses the Foreign Investment Promotion Board, and DIPP have all expressed difficulty in monitoring sectoral conditions. i. A united Opposition forced Government to send the controversial Real Estate Bill that seeks to regulate realty business, to a 21-member select committee of Rajya Sabha, which has been asked to submit its report by the first week of the Monsoon Session. ii. The government brought a motion to refer the bill to Select Committee, chaired by BJP member Anil Madhav Dave. iii. The government had brought the bill earlier in this session after taking the view of all stakeholders. However, amid lot of criticim the bill was delayed even after the recommendations of the Standing Committee. i. Actor Salman Khan, sentenced to five years for killing a homeless man in a hit-and-run in 2002, will not go to jail for now. He has been allowed to go home till Friday, when the Bombay High Court will hear his appeal for bail. ii. A Mumbai court this morning rejected Mr Khan's claims that it was his driver who was at the wheel of his Toyota Land Cruiser when it ran into a group of homeless men sleeping outside a Mumbai bakery. One man, Nurullah Mehboob Sharif, died, four were injured. iii. Mr Khan broke down in court after hearing he was sentenced to five years in jail. The court said all seven charges against him -including culpable homicide- had been proven. The maximum sentence he could have got was 10 years. iv. 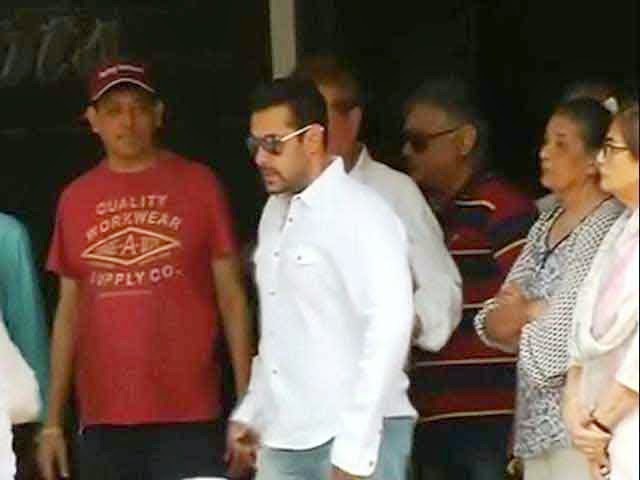 Mr Khan, 49, then applied for bail to the Bombay High Court, which has said he will not be arrested till Friday. v. He is under trial in Rajasthan for shooting an endangered black buck gazelle in 1998. He spent a week in jail in 2006 in Jodhpur before being granted bail. If convicted, he faces a maximum sentence of 7 years. i. World Asthma Day 2015 was observed globally on 5 May 2015. Theme of the year is You Can Control Your Asthma and sub-theme is It’s Time to Control Asthma. ii. 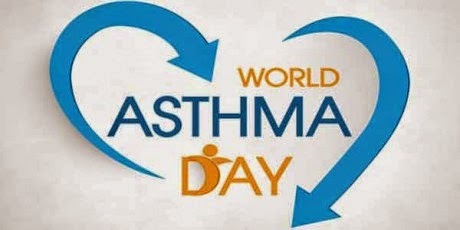 World Asthma Day takes place on the first Tuesday of May. The inaugural World Asthma Day was held in 1998.
iii. The day is annually organized by the Global Initiative for Asthma (GINA) to improve asthma awareness and care around the world. iv. An awareness drive and a continuing medical education (CME) were held at the Coimbatore Medical College Hospital (CMCH) to mark the World Asthma Day. i. 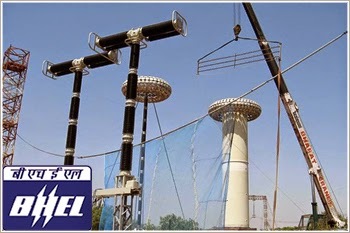 State-owned power equipment maker Bhel has commissioned GVK Group's 82.5 MW greenfield hydro electric project in Uttarakhand. ii. Bharat Heavy Electricals Ltd said in a regulatory filing that it has "successfully commissioned the first unit of 82.5 MW at the upcoming Shrinagar Hydro Electric Project (HEP) in Uttarakhand". iii. The greenfield hydro electric project consisting of four units of 82.5 MW each is being set up by Alaknanda Hydro Power Corporation Ltd ( GVK Group). iv. The project is designed to utilise the waters of River Alaknanda by way of a diversion dam. v. Bhel said power generation from Shrinagar HEP is likely to result in reduction of greenhouse gas emissions.